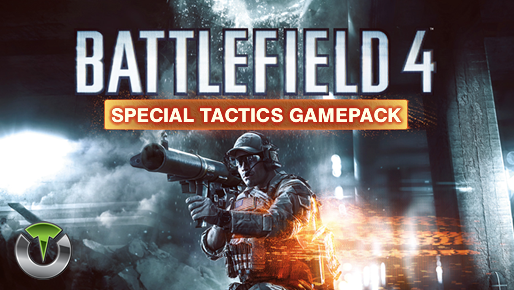 The Battlefield 4: Special Tactics Gamepack for Titan One features, among all others MODS you are used to, the Secondary Rapidfire MOD and the Anti-Recoil MOD. When rapid fire is enabled, you can turn virtually any semi automatic weapon into a fully automatic weapon. This creates a very unique advantage for players using semi automatic weapons in Battlefield 4. While rapid fire will not usually make a fully automatic gun shoot any faster, it can have positive side effects on fully automatic guns such as reducing recoil, helping players conserve ammunition and achieve more headshots. Rapidfire specially optimized to M4/M16 assault rifles. Burst firing is designed to turn semi automatic and automatic weapons into burst firing weapons. When this feature is enabled, your weapon will fire in bursts similar to the M16 and can be used with 1, 2, 3, 4, 5, or 6 round bursts. Burst firing can help reduce recoil and conserve ammunition. Combining burst fire with adjustable rapid fire will give you automatic burst fire. This will allow you to select how many rounds are fired per burst and the amount of time between bursts for a truly customizable experience. Scope modes are MODS that are associated with using the scope (ADS). The idea behind quick scope is to use a sniper rifle, scope IN and fire the shot as the gun scopes in. Perfecting the aiming and timing will allow you to become a one-man commando with your sniper rifle. To fire a quick scope shot, quickly TAP your scope button. The MOD will automatically scope in, take a shot, and scope out. Check the menu system instructions above for more information on how to adjust the timing in this mode. This mode is specially designed for sniper rifles. It automatically holds the sniper's breath when scoping in. Upon activation. the MOD will hold the sniper's breath when scoping. The player no longer has to push the left thumbstick to hold breath. NOTE: Hold Breath MOD CAN be used with Easy Sprint and/or Quick Scope simultaneously. Hold breath at the same time you press the scope (ADS) button. Hold breath is only active if the scope (ADS) button is FULLY pressed. Automatically spot your opponents from across the battlefield. With Auto Spot active your character will mark where your opponents are located simply by looking in their general direction. A ridiculous advantage in team matches. Auto Spot is activated only when Scope button is pressed. Most users play their favorite Battlefield 4 using the default button layout but a lot of players do use optional button layout and switch their thumbstick positions. With the Button Layouts you can make any of the MODS on the Titan One work with your favorite button layout. This MOD automatically switch the weapon flashlight (or laser sight) as you fire or raise the ADS (scope). Automatically switch on the flashlight (laser sight) when start firing, and switch it off when stop firing. Same above, but for ADS (scope).